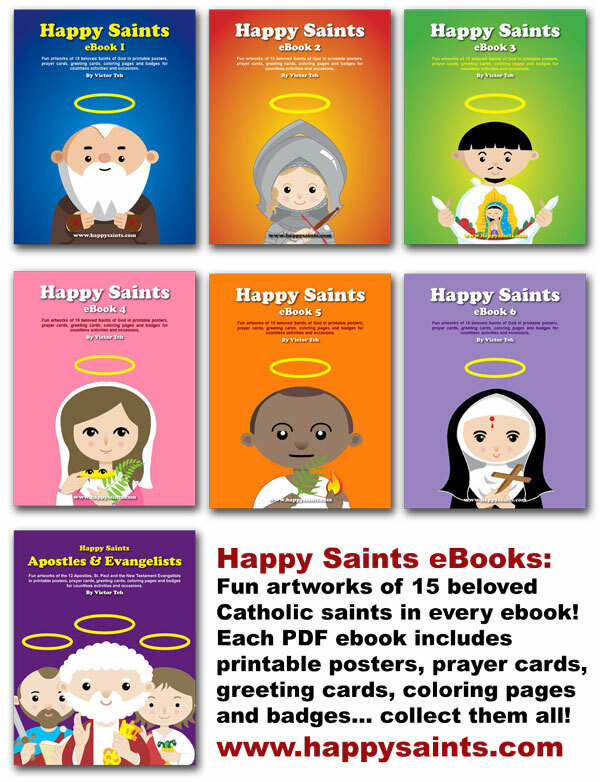 Happy Saints: Happy Saints eBooks - Collect Them All! Fun artworks of 15 beloved Catholic saints in every ebook! Each PDF ebook includes printable posters, prayer cards, greeting cards, coloring pages and badges... collect them all!